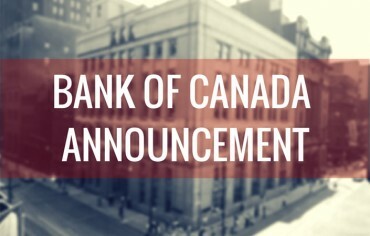 This morning, the Bank of Canada (BoC) announced it would leave the overnight lending rate at 0.75% for another six weeks – and while it didn’t necessarily come as a surprise, we’re certain that Governor Stephen Poloz is going to hear about it from the media. Since slashing the overnight rate by 0.25% in January – from the 1.00% it had been at for nearly 4.5 years down to 0.75% – reporters have been paying very close attention to everything Poloz says, trying to figure out what his next move will be. First, let’s remember that he cut the overnight rate in January, in an attempt to shield highly-indebted Canadians from the negative impacts of what’s been happening in the energy sector (specifically, the significant drop in oil prices), as well as to boost the economy. Since oil prices stayed low and the economy continued to suffer, it was presumed that Poloz would cut the overnight rate further in March – but that didn’t happen. Instead, in his second interest rate announcement of the year, he reported that numbers from 2014 proved the economy was doing better than what had been thought – so the BoC was going to leave the overnight rate at 0.75% for another six weeks and continue to monitor its effects. Just a few weeks later, however, he made a speech in which he announced that, “the first quarter of 2015 will look atrocious, because the oil shock is a big deal for us.” And that it did. As a result, total CPI inflation is at 1.00%, reflecting the drop in consumer energy prices, and core inflation remained at close to 2.00%. Unfortunately, the weak first quarter has placed additional downward pressure on projected inflation, as well as widened the output gap (potential output vs. actual). GDP growth is expected to rebound later this year, though, and Poloz says he expects the economy to reach and remain at full capacity around the end of 2016. While the back-and-forth messaging seems to have had reporters jumping before, we can sit tight for now, as the overnight rate will stay put at 0.75% for another six weeks. What does this mean for you? Nothing, really. Banks loosely base their Prime rates on the overnight rate, so a rate drop or rate hike could result in a direct change to a variable rate mortgage holders’ interest rate (because they are attached to Prime). Since there’s no change, it’s business as usual. 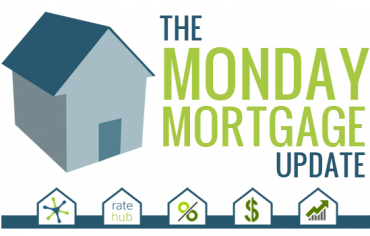 The next interest rate announcement is scheduled for May 27, 2015.